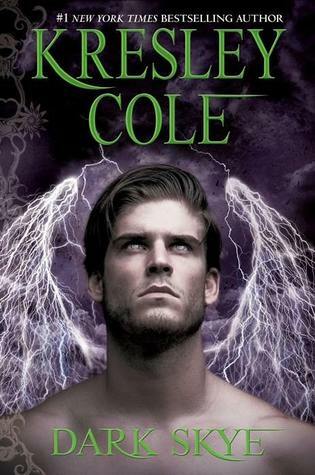 In this highly anticipated novel in the Immortals After Dark series, #1New York Times bestselling author Kresley Cole spins a sultry tale of a mighty warrior scarred inside and out and the beguiling sorceress with the power to heal him - or vanquish him forever. As a boy, Thronos, Lord of Skye Hall, loved Lanthe, a mischievous Sorceri girl who made him question everything about his Vrekener clan. But when the two got caught in the middle of their families’ war, tragedy struck, leaving Thronos and Lanthe bitter enemies. Though centuries have passed, nothing can cool his seething need for the beautiful enchantress who scarred his body - and left an even deeper impression on his soul. Lanthe, a once-formidable sorceress struggling to reclaim her gifts, searches for love and acceptance with all the wrong immortal suitors. But she’s never forgotten Thronos, the magnificent silver-eyed boy who protected her until she was ripped from the shelter of his arms. One harrowing night changed everything between them. Now he’s a notorious warlord with a blood vendetta against Lanthe, hunting her relentlessly. Can the heat of desire burn brighter than vengeance? With their families locked in conflict and battles raging all around them, will Thronos and Lanthe succumb to the brutal chaos that threatens everything they cherish? Or will the fragile bond they formed so long ago spark a passion strong enough to withstand even the darkest doubts? You can find the whole series here. Nice, I havent heard of this one. Thanks for sharing!